I’ve had requests from many of you to write about Twin Flame Telepathy – so here it is! Simple, yet kind of complicated when you look under the surface. Twin Flame telepathy is most often triggered at the point of Kundalini Awakening, which is the start of Twin Flame Ascension for most. It’s when you and your Twin connect energetically (for many this happens through sexual encounters or intensely emotional interactions in physical life or in dreams) and you’re connected to source. When you both connect this way, your dormant connection with your Twin and any dormant metaphysical abilities are triggered and brought out into the open. Even if you’ve never had “psychic” abilities previously in life, Twin Flame Telepathy is something that can develop rapidly, almost “overnight” when you and your Twin interact energetically and your souls are “brought online” – connected to your higher consciousness. Twin Flame or Twin Soul Telepathy enables Twins to hear each other’s thoughts and converse mentally, and aside from the actual verbal communication many experience that they can sense their Twin’s feelings and moods, including suddenly knowing things they have never known before – this is called claircognisance; the transferring of “chunks” of knowledge energetically. Claircognisance is like downloading a file onto your computer – the knowledge is “downloaded” from your Twin and suddenly you know what they knew. Remote Touch is also common between Twin Flames, and both this and telepathy is especially noticeable and active at times when our brains are in Alpha or Theta state, where our defense mechanisms and ego are relaxed and communication is open – like just before we fall asleep or when we’re meditating. Many Twins feel their counterpart holding their hand or kissing them, and some even experience sexual encounters this way. 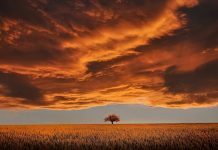 To boost your connection and get in touch with your Twin’s soul, try the Alpha Level meditation in the Free Help Kit for Twin Flames I’ve created. Because the Twin Flames share an energy frequency that is unique to the two of you in the whole universe, your souls are already “tuned into each other’s channel”, like on an old-fashioned radio. It means that you’re always in communication somehow on the energetic plane. This is why so many Twins feel and sense and hear each other’s thoughts, feelings and moods. Twin Flame telepathy gets stronger and easier the more we clear our energy to get into alignment with this core frequency we share. Twin Flame telepathy is an amazing way to stay in touch regardless of how much physical distance is between you – if you want to make your Twin happy or send them a message, starting with simple things like “I love you” or “I forgive you” can be very powerful as these are archetypal messages that are easily transmitted through the nervous system and the energetic channels. Sending love is another amazing and simple thing you can do. Focus on your heart space and focus on the love you feel for your Twin; intend that you’re sending this love to them – they will sense it somehow, even if you’ve never spoken before in life or you’ve been estranged for years. Be alert to messages and impressions that come in the form of images, sounds, dreams, sensory impressions such as touch and emotions, warmth, cold, heart palpitations, arousal… Energy and emotions can be communicated in so many different ways. Do not be surprised if you suddenly perceive a memory from your Twin Flame’s life, or experience déjà vu-like moments when you begin the Union Process – this is due to your energies being merged and as a side-effect of the process you take on some of their information as they do with yours. Those times you suddenly have a thought pop up about your Twin Flame – it’s likely them thinking about you. And when you feel the warm love between you even when you weren’t focusing on it, it’s them feeling it. Sometimes this is happening on the soul level, where there is always love between the Twin Flames, but the more attuned you get to consciously using Twin Flame telepathy, the more you can stay in touch like this. It can really boost the feeling of togetherness and intimacy (and fun! ), and because the Twin Flame connection doesn’t just rely on plain words, there is less of a chance of misunderstandings and conflict. To put it simply: The energy of love is unmistakable. As with most phones, once the line is busy you can’t get through. In Twin Flame telepathy this means that when we’re congested energetically or are busy “on the line” with our own ego drama and the mental monologue of worry or blame, the line is “busy” and our Twin’s messages don’t reach through. Because we are energetic beings and the whole world is full of energy from other people, we can unconsciously end up absorbing energy from others and this will congest and distort our channels of communication. Running energy and clearing our energy daily is an excellent way to keep these telepathic channels clear and open – this also helps us stay clear of any negativity that can mess with our mood and wellbeing. There are many cutting edge methods we can use on the energy planes that are so much quicker and easier than the traditional meditating for hours and burning sacred herbs to “smudge” energy. As souls of light in human bodies, we can literally vacuum out congestion and others’ energy in less than 30 seconds so we’re free and clear every day with a minimum of hassle. If you’ve never experienced telepathic communication between you and your Twin before, the first step to activating this ability would be to clear your energetic channels – chances are you’ve been blocked from receiving. If just one of you does this, it will be a huge help in opening the both of you up. If the channel is congested or blocked, telepathy won’t work the way it’s supposed to. Sometimes you might hear weird, confusing or disheartening comments and get low feelings through your connection with your Twin – the reason for this is because the connection isn’t just from your conscious self to their conscious self. Sometimes you’re picking up on your own subconscious insecurities and even your own ego voice or others’ negativity. This might sound ridiculous but in Twin Flame telepathy it’s actually quite relevant – often we don’t hear our Twin’s voice, we just get a sense that the words are coming from them. Really what we’re recognizing is the energetic signature behind the words. We can feel who the person is. 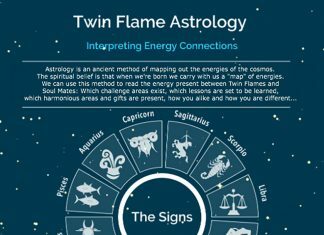 This is why it’s essential on the Twin Flame journey to get energetically clear and get familiar with how energy works – so you can sense the difference between your true Twin Flame, other people and your own fear instincts, and so on. In life it’s most often our own fear instincts that throw us into a spiral of negativity and “feeling” that someone is falling out of love with us or is interested in someone new, or is angry with us. Once you learn to discern your Twin’s energy from other people’s and your own ego and subconscious fears, and you’ll save yourself a lot of worry and problems. Twin Flame telepathy happens on the energetic plane, and in order to develop this ability reliably and quickly you have to keep your energetic channels and meridians clear and healthy. Managing your energy will help you open up to Twin Flame telepathy quicker than anything else. For me it happened in under a month, using energy tools. It went from a word here and there to having full-blown conversations. And I had never in my life had any “psychic” abilities before. As with any skill, the more you practice, the easier and more effortless it gets. My Twin and I developed some fun tools for this on my journey, and it can be exciting and a great source of bonding to experiment with this. We’ve included our tools in the home-study program for Twin Flames. Talking to my Twin became a gateway for me to talk to all my guides. Once your ability to communicate telepathically with your Twin is opened and strengthened, you are also able to communicate telepathically with your own higher faculties and guidance team. This can be a huge help on your journey as they are full of wisdom and insight and love for us here on the earth plane. A word of precaution: I would advise anyone communicating with spirit to take certain precautions to make sure the information you’re getting is to your highest good and that you are indeed talking to your true guides. Telepathy and energy based communication means that theoretically you can communicate with anyone across any language – because energy has no words. I really hope you’ve found this useful! If you’re interested in developing and exploring Twin Flame Telepathy further, we have a whole class on Telepathy plus tools for developing it (and a class on how to reliably talk to your guides) in the Vibrational Alignment Program.